Men with low sperm count and fertility problems may want to examine their behavior in the kitchen. A recent study out of the University of California, San Francisco, has linked low sperm count with a diet high in saturated fat. 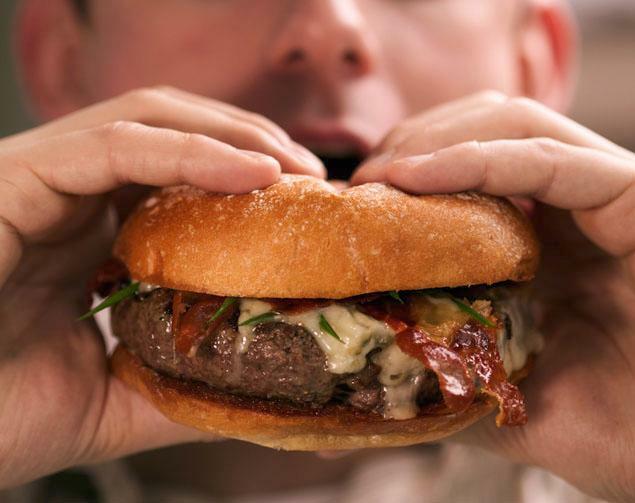 Men who consumed 37% of their calories from fat (or 13% from saturated fat) were found to have 40% lower sperm count than a male with less fat intake, according to research published in Human Reproduction. Between the years of 2006 and 2010, the scientists analyzed 99 mostly Caucasian men whose average age was 36. Just more than 70% of the men were overweight or obese and two-thirds had never smoked. The study found that a 5% increase in dietary fat intake led to an 18% decrease in sperm count. Diets high in Omega-3 fatty acids were linked to higher sperm counts. Men who want to add fatherhood to their resume might want to swap processed meats for fish. “If men make changes to their diets so as to reduce the amount of saturated fat they eat and increase their Omega-3 intake, then this may not only improve their general health, but could improve their reproductive health too,” said Professor Jill Attaman, a Clinical and Research Fellow in Reproductive Endocrinology and Infertility at Massachusetts General Hospital.